Home » Blog » Will I Lose My Inheritance in a Bankruptcy? Whether your inheritance is included in a bankruptcy depends entirely on when you become entitled to receive the proceeds. As this is a complex issue, I talk with Ted Michalos and we take a detailed look at bankruptcy implications for inheritances. While we discuss inheritances and bankruptcy specifically in this podcast, the advice applies to virtually any cash windfall including a cash gift, work bonus or lottery winnings. What Happens To An Inheritance Before, During, and After Bankruptcy? All property, wherever situated, of the bankrupt at the date of the bankruptcy or that may be acquired by or devolve on the bankrupt before their discharge. It is the ‘may be acquired or devolve’ wording in the BIA that applies to inheritances and windfalls. You become entitled to your inheritance at the time of death, and not when the cash or asset is being distributed to you. So this same entitlement, or right to the proceeds, becomes an asset in your bankruptcy. You must disclose all assets, property and income when you file for bankruptcy. Hiding that fact that you are entitled to inheritance monies is an offence under the BIA. Failing to disclose information about a potential inheritance could result in either a refusal of your bankruptcy discharge or a conditional discharge order requiring you to meet additional terms. Waiting for a windfall, or possible inheritance, to deal with debt problems isn’t always the best option either. If you have significant debts today, consider talking to a trustee about your options. You may be able to work out a proposal with your creditors, allowing you to keep any monies when they arrive. Your creditors may be willing to accept less, if the inheritance process is long and uncertain. Under bankruptcy law, any money or property you receive before you are discharged becomes an asset in your bankruptcy. If you are in the middle of your bankruptcy filing and you become entitled to an inheritance, you must inform your trustee so that the proceeds can be redistributed to your creditors. While this may sound like bad news, it could allow you to achieve debt relief sooner. Cancel the bankruptcy if you inherit more than you owe. If you’re already in a bankruptcy and your inheritance can pay off most or all of your debts, you may be able to cancel your bankruptcy filing altogether and even keep a portion of your windfall. Let’s say you owe $50,000 and you’ve filed for bankruptcy. Three months into your filing, you inherit $100,000. You could repay your creditors in full and then apply to the court to have your bankruptcy annulled. In many cases creditors won’t claim any interest charges on the debt. Switch to a consumer proposal and repay a portion of what you owe. Let’s say you owe $50,000 in debt, you’ve already filed bankruptcy, but you are now entitled to a $40,000 inheritance. Your trustee can help you make a deal with your creditors to pay 90%-100% of your inheritance by switching to a consumer proposal. It would allow you to eliminate your debts quickly and get a fresh financial start. This one is pretty simple. If you’ve already been discharged from your bankruptcy, and learn you’re entitled to an inheritance, you don’t need to do anything. The inheritance is yours to keep. For more detailed information on how a bankruptcy impacts an inheritance, tune in to today’s podcast or read the full transcript below. 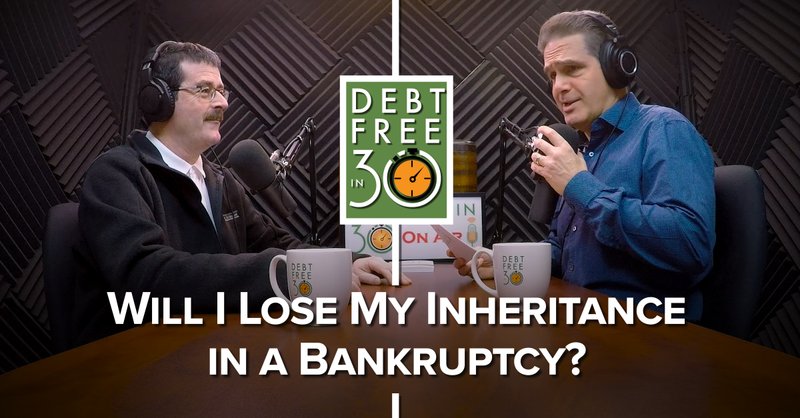 FULL TRANSCRIPT – Show 229 Will I Lose My Inheritance in a Bankruptcy? Doug Hoyes: If you go bankrupt, you eliminate your debts but you also lose some of your assets. When I explain that to people they often ask me, “So what happens if I get an inheritance while I’m bankrupt?” Good question, and the answer is really easy. You lose it. So it’s pretty clear if you get an inheritance or an inheritance devolves on you before your discharge, you lose it. So what does devolve mean? And is there a difference between getting a small inheritance, say a few thousand dollars, and getting a really big inheritance? And if you have a lot of debts today but you think you might get an inheritance at some point in the future, what should you do? Go bankrupt today and risk losing it or hang in there in the hopes that the inheritance might solve your debt problems in the future. And can you just hide it and hope nobody finds out? Lots of questions, so it’s time for a Technical Tidbits edition of Debt Free in 30, so let’s get started by welcoming back to the show, Ted Michalos, my Hoyes Michalos co-founder and business partner. So Ted, Hoyes Michalos has now been in business for over 20 years. Ted Michalos: And you were about to say I look the same as I did 20 years ago? Doug Hoyes: Absolutely, absolutely the same. So over that time are inheritances something that people ask you about on a regular basis? Ted Michalos: It comes up almost daily, and it’s not because people expect to get an inheritance, it’s because they think they might receive an inheritance. And the discussion that we’re having about inheritances also applies to any kind of windfall. So it could be lottery winnings, a large gift that somebody gives you, anywhere where the income, the money isn’t earned. 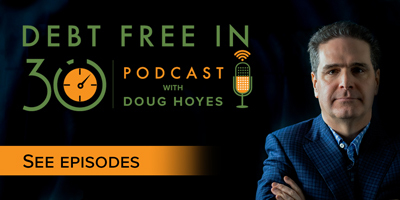 Doug Hoyes: Free money, so an inheritance obviously would fall into that category. Doug Hoyes: Okay, so what we talk about today, we’re mentioning inheritances but it would apply equally to lottery winnings, anything like that, big gifts you get. So I posed a bunch of questions at the start, so let’s kind of hit them one by one. Ted Michalos: That’s a great word, isn’t it? Doug Hoyes: Devolve – so what does devolve mean? Ted Michalos: To pass down. Ted Michalos: Right, so it’s going to come to you. Doug Hoyes: Okay, so let’s talk about that. So based on my experience it can take a long time between when the person dies and you actually get the money, because the assets have to be liquidated. There’s a whole bunch of legal stuff that has to happen. Ted Michalos: Probate, all that sort of stuff. Doug Hoyes: Probate and so on. So what if my rich relative dies while I’m bankrupt but it’s going to take a long time before I get the money. So let’s say it’s going to take years, and I’ll be discharged from the bankruptcy long before the money actually comes in, because of course a bankruptcy typically lasts for 9 months, 21 months, 36 months, depending on some factors. So if the money’s going to come in a long time after my bankruptcy is finished, do I still lose it? Ted Michalos: The short answer is yes. So I mean that’s basically what devolved means. You’ve got a right to something that happened in the bankruptcy; it doesn’t matter that you’re going to receive it in the future. You’ve lost that right. It has passed on to your creditors. And I mean the critical date is the date of death, when were you entitled to receive the money because the individual that bequeathed it to you died? Doug Hoyes: Gotcha, so the moment that person dies, it’s my money. And if I’m bankrupt, well it becomes property of the bankruptcy estate. So when the money actually gets paid out is irrelevant; it’s when it devolves, when they happens. Ted Michalos: Yeah, use the same analogy for the lottery winnings, because there are people that think I can win the lottery and not claim it. It’s the date that the lottery happened. So it’s when you’re entitled to this money, even though you don’t know what the money is, it’s when you’re entitled to it that’s critical. Doug Hoyes: Which is the same way debts work. Doug Hoyes: When you go bankrupt, whatever debts you have on the date of bankruptcy are included in the bankruptcy, whether you know exactly what their amounts are, so it works both ways. Ted Michalos: Exactly right, yes. 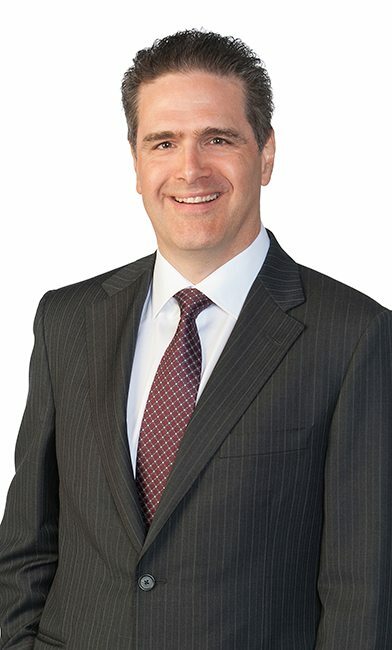 Doug Hoyes: Okay, so let’s take a simple case then where someone’s bankrupt for nine months, and which of course is the minimum period of bankruptcy in Canada. Ted Michalos: And it’s four out of five bankruptcies. Doug Hoyes: And that’s the most common situation. So what happens if they get an inheritance before the bankruptcy, during the bankruptcy or after the bankruptcy? So before a bankruptcy, if you get an inheritance …? Ted Michalos: Well, and so if you receive an inheritance before the bankruptcy we have to tell your creditors that you did, and if you’ve already spent the money we have to explain to them where the money went. Doug Hoyes: And yeah, the money’s already been spent; it doesn’t matter. If I got it two weeks ago and it’s sitting in the bank, well then that’s going to be an issue. You’re presumably going to lose it during the bankruptcy. Ted Michalos: Well and so let’s say Aunt Millie died two weeks ago, so before you filed the bankruptcy, and so you don’t know that you’re receiving anything yet but you’ve been named in the will. We have to tell people that there’s something coming, even though we don’t know what it is. Doug Hoyes: Gotcha, so that’s before the bankruptcy starts. If you get an inheritance, if the person dies during the bankruptcy, I guess we already talked about that. It’s pretty simple. Ted Michalos: It devolves to the estate. Doug Hoyes: It devolves. And so what if I’m discharged from bankruptcy, and then six months later Aunt Millie dies? Ted Michalos: So if your bankruptcy’s been completed, you’re discharged and the money didn’t devolve on you during that time, then it’s yours, free and clear. Doug Hoyes: So once you’re discharged, it doesn’t matter what happens, it’s your money. Ted Michalos: That’s right, yeah. Doug Hoyes: And that’s a really good example of why you want to make sure you get your bankruptcy done. Ted Michalos: Exactly right, because you don’t know what the future’s going to hold and there’s no point keeping it open longer than it should be. If you can get out of bankruptcy in nine months and one day – and again, four out five people do – that’s what you want. That’s what everybody wants. The system’s designed to get you a fresh start. Doug Hoyes: Complete your duties, get the bankruptcy over, and that way if anything good happens in the future, it’s your money. Doug Hoyes: Okay, so why don’t I just keep my mouth shut then? If I get an inheritance, it’s not like it’s published in the newspaper or anything – or maybe it is – so I find out that Aunt Millie died while I’m bankrupt. Can I just keep my mouth shut and hopefully nobody finds out and I get to keep the money? Ted Michalos: Okay, so the short answer is it’s an offence under the Bankruptcy Act. So effectively what you’re saying is, “I’ll just keep my mouth shut and I’ll break the law.” So you’re using the Bankruptcy Act to get relief from your debts. It’s based on the premise that you’re an honest but unfortunate debtor, that you’re trying to get a fresh start. Well, if you’re starting out with your fresh start by lying or hiding the truth, you’re no longer the honest but unfortunate debtor. And I’ve got to tell you, it’s a small world between the internet and family members and, quite frankly, the newspaper is a good example. We had someone in my Guelph office win a lottery a couple of years ago and she decided not to tell us about it, but they published her name in the papers and one of her creditors called and said, “What do you mean she got to win $75,000?” And so she just made things worse. Doug Hoyes: Yeah, so the bottom line is, it’s an offence. You have to disclose your assets; it’s as simple as that. Ted Michalos: And it’s a small world; you’re going to get caught. Doug Hoyes: Yeah, someone’s going to find out anyway so you might as well just fess up. I remember a case I had a few years ago where the guy had about $50,000 in debt and he couldn’t pay it. His wages were being garnisheed, he came in, went bankrupt. And then two months later he won the office hockey pool. So they all put in some money and he ended up winning, and I think he won something like $5,000. So that was not a big deal for him, but what if I’m bankrupt and I’ve got $50,000 worth of debts and I end up inheriting $100,000, like an amount that is considerable larger than what I even owe? Then what happens? Ted Michalos: Well the good news is that at any point in a bankruptcy, if your debts are repaid in full – and in the example you just gave they would be – you apply to the court and have the bankruptcy annulled. Doug Hoyes: So let’s go through this scenario then. So I get $ 100,000 and I’ve got $50,000 in debt, so what would happen with the money? How would it work? Doug Hoyes: And so what does paid in full mean? Ted Michalos: Well, so it means that they – whatever amount they claimed in the bankruptcy they were paid, and then they’re entitled to interest expenses from the date of bankruptcy forward, if they want to claim them. In most cases the creditors don’t. So for instance in the example you said there was $50,000 worth of debt. In most cases the creditors would take that $50,000 and they wouldn’t apply whatever interest they’d been entitled to. Doug Hoyes: Okay, so Scenario 1, there’s a bankruptcy, we seize the money, it all gets paid out to the creditors. And if there is money left over then it would be returned back to the original bankrupt. Doug Hoyes: What’s another option? Ted Michalos: Well Option No. 2 would be that you have the right to file a proposal. It may seem a little counter-intuitive in this case. The example might be better if, “I’ve got $50,000 in debts and I inherited $40,000.” You want to talk about that next? Doug Hoyes: Sure – no, no, let’s talk about it right now. Ted Michalos: Alright, so in that case you could do nothing. The trustee would step in and receive the $40,000 and it’d be the scenario we just talked about. In most cases what we’d do is we’d say, “Look, we’ve got enough money here that you weren’t expecting to receive. Let’s file a proposal and offer the creditors some, in fact most of that money in settlement.” And the reason you do that is to cancel the bankruptcy. Doug Hoyes: And so a proposal, explain the mechanics of that, then. Ted Michalos: So at any point when a bankrupt, someone who’s said, “I cannot repay any portion of my debts,” decides to file a proposal, which means you are trying to voluntarily repay a portion of your debts, if the creditors agree to the deal that you offer them, the bankruptcy is cancelled and now you’re in a proposal. So in this particular example – and quite frankly I do this one once or twice a year – we generally offer 90% of whatever the inheritance will be up to 100% repayment of the debts so that you get to retain something. Now you’re probably thinking the creditors get all the money in a bankruptcy so why would they settle for less? Because this is a windfall – they know you weren’t expecting the money, they weren’t expecting the money. Everybody is getting some sort of benefit from this and you’re allowed to retain some sort of remembrance of the person that bequeathed it to you, and it’s a win for everybody. Doug Hoyes: And so let’s be very specific about that then. So the example you’re giving is, “I’ve got $50,000 in debt and I’ve got a $40,000 inheritance” let’s say. So if you do nothing, then the creditors – the $40,000 will get into the bankruptcy estate, the creditors will get their share of the $40,000. Doug Hoyes: If you do a proposal and offer $40,000 let’s say, then I guess from the creditors’ point of view, well okay, it’s kind of neutral. I’m getting the $40,000 either way, so why wouldn’t they accept it. It kind of makes sense. Ted Michalos: Correct, and they’ll get it faster. Doug Hoyes: And they’re going to get it faster. So why do they get it faster in a proposal? Ted Michalos: Well, so the proposal, the terms can be as soon as the money is received that the trustee will distribute to the creditors. In a bankruptcy the trustee maybe very well sit on that money until the bankruptcy procedure has been completed, and that can take months, sometimes years. Ted Michalos: That’s a great example. Doug Hoyes: So you go bankrupt in January of let’s say, 2019, we can’t file your 2019 taxes until the spring of 2020. Ted Michalos: And they won’t be assessed until the late summer of 2020. Doug Hoyes: Yeah, maybe the fall. So maybe it’s the fall of 2020 before the bankruptcy ends, so it could easily take 18 months for a bankruptcy to end and the money to be distributed to the creditors, and that’s in the case of a first-time bankruptcy with no surplus. If there’s surplus, even if it’s a second-time bankruptcy, it can take a lot longer. So if the creditors are faced with well, you can have $40,000 in a month or two in a proposal, or $40,000 in a year or two, kind of a no-brainer. What about the case those where I’ve got $50,000 in debt and I’ve got a $100,000 inheritance, so the creditors are entitled to all their money plus they could claim interest. I think the prescribed rate at the moment is 5%, although that could change. So okay, I’m going to get maybe $50,000, maybe $55,000, whatever the number is. Why would they accept a proposal rather than getting all the money plus interest in a bankruptcy? Ted Michalos: Well again, there’s time value of money. They’d like to have it in 30 days rather than like the example we just gave. It could be 18 months, 24 months, whatever. And also again, you’re dealing with human beings; they weren’t expecting to receive any of this money. The inheritance is a windfall for them too; they get it. I’ve never had a creditor turn down one of these offers where we said, “We’re going to file a proposal to cancel the bankruptcy,” so that the individual, the client, receives the benefit of not being in bankruptcy anymore. And that is a real benefit. Doug Hoyes: Yeah, and you make the comment about it being a windfall, and that’s actually true because in a lot of cases the creditors take the debt, and when a proposal is filed they send it off to some third-party processing agency. In fact in some cases they actually sell the debt. And so the person who’s bought the debt, the company who’s bought the debt, you know, maybe they were expecting 10ȼ or 20ȼ on the dollar, and now that they find out they’re going to be getting close to 100ȼ, it’s like, “Well yeah, why wouldn’t we accept it?” So it really is a win-win for everybody. Doug Hoyes: So if I think I’m going to get an inheritance, I don’t know for sure but in our example of poor Aunt Millie, she’s kind of sick. So should I just – instead of going bankrupt, automatically go to the proposal option right off the bat? Ted Michalos: Yeah, I don’t generally advise that. One, because it means that you’re sitting around hoping ill will on Aunt Millie. And you don’t want your last few months with Aunt Millie to be like that, and quite frankly Aunt Millie would surprise you and stick around for a long time. Doug Hoyes: Well, and what if it’s a care where yeah, I don’t expect she’s going to die. Ted Michalos: Right, you just know you’ve been named in the will? Doug Hoyes: Yeah, I know that there will be some money there, so I guess the answer is well, yeah, do a proposal if it would otherwise made sense. But don’t be doing something, you know, either a proposal or a bankruptcy like you say, well, because I expect this particular thing that will happen, which is highly uncertain. Ted Michalos: Right, unless you’ve got a crystal ball or you’re planning to push Aunt Millie off the train. I think there’s a movie there somewhere. Doug Hoyes: Again, we don’t advise – nobody take strains anymore anyway. So what is Form 79 and what is Question 12, and why is that in my script here? What is this all about here? Ted Michalos: So the common name for Form 79 is called the Statement of Affairs. Doug Hoyes: I actually knew that, I was just playing along. Ted Michalos: I know you know that, but this for [you] people. Yeah, right, right, yeah. Do you know what it looks like? Doug Hoyes: I do! I do know what it looks like, and I know what Question 12 says, and there’s a whole bunch of questions you have to answer; you have to swear to them. And so Question 12 says do you expect to receive any sums of money that are not related to your normal income or any other property within the next 12 months? What’s that all about? Ted Michalos: Right, so what they’re basically saying is are you already aware that there’s something unusual going to happen? They’re not necessarily declaring this to be a windfall. So let’s say you work for an employer that gives quarterly performance bonuses and you usually get $1,000, but you know that the company has merged with a different firm and they’re going to do a one-time payout in six months as an extraordinary event. Well that would be something that you’re aware of; there’s a high degree of certainty it’s going to happen and you need to disclose it. Being named in Aunt Millie’s will – we’ll keep picking on Aunt Millie – unless Aunt Millie has been diagnosed with something terminal and the prognosis is really bad, there’s a high certainty you’re going to receive it, we wouldn’t disclose that. Doug Hoyes: Yeah, and forget the difference. And even if there is, well you don’t know how much you’re going to get, you don’t know what the costs are. I mean until it’s done, it’s done, so that question relates to something that you’re pretty sure is going to happen. There has to be a high degree of certainty. Ted Michalos: A nephew perhaps? Ted Michalos: Whoever they are. Doug Hoyes: Yeah, we have this case all the time where, “Well, you know, my father has $30,000. There’s three kids, we’re each going to get $10,000 when he dies.” Maybe that’s the payout from his life insurance or whatever. Is there something that that person should be doing to eliminate the chance that this money just gets distributed to the creditors? Ted Michalos: Well so the first decision the person in financial difficulty has to make is are they going to tell the rest of their family members or any of these potential people that might have them named in the will that they’re in trouble, because the person with the money, the person who’s drafting the will, isn’t filing bankruptcy or isn’t filing a proposal. So they’re free to do whatever they want with their will. So they could simply write you out of it or they could create a familial trust and stick your name in it there. I mean there are lots of different ways that they can handle it, and they’re free to do whatever they like. Now they can even wait until after you file the bankruptcy or the proposal. Good guess – again, they’re not bankrupt, they’re not restricted in any way. So generally speaking, again, unless there’s high expectation that money is going to be received because a death or something is imminent, I don’t think it influences the decision of the person filing the bankruptcy, you’ve just got to decide how much information you’re going to share with your family. Doug Hoyes: Yeah, and you made the key point there. It’s your will. You can do whatever you want, you can leave money to whoever you want. So if you decide well, I’m going to leave it to this person and not to that person, then you can do that. You can always change your will again. “Oh, the bankruptcy is over now and I didn’t die, great.” Well now I put them back into the will. It’s entirely your choice. My advice in a situation like that, particularly if you’ve got a lot of money, is get some legal advice. Ted Michalos: Always, because we’re not lawyers. Doug Hoyes: Yeah, we’re not lawyers. And creating a familial trust, well that’s way beyond the scope of this podcast to be explaining how that’s supposed to work. So if you’re in a situation like that, get some good advice. Okay, so to wrap up the show then, what is your general advice to someone who thinks they may at some point in the future get a lump sum of money, whether it’s an inheritance, a bonus or whatever, and they have debts now. How do they think through what they should be doing? Ted Michalos: Well, so the first question they have to answer is how certain are you that you are going to get that lump sum of money? So if you’re telling me that you’re name in Aunt Millie’s will, and Aunt Millie’s doing fine but you know she’s got lots and lots of money, I would say that’s very good for your future but you can’t count on that now. Ted Michalos: Shares in this business that somebody’s talking about buying but it’s never happened, yeah. Unless you’ve got a really high degree of certainty you can’t count on it. Buying a lottery ticket is not a financial plan, we’ll just leave it at that. Ted Michalos: It’s another form of taxation; it’s a different show. Doug Hoyes: Yes, a different show, different show. So your general advice then is if you’ve got a bunch of debts, don’t be focusing too much on what may or may not happen. Ted Michalos: Once of the most difficult things with dealing with debts is actually acknowledging that you have a problem. And so by thinking that, you know, six months, a year, two years from now, Aunt Millie’s going to bail me out, you’re really not dealing with the problem. You have to be wide-eyed, you have to look at it clearly and say, “I have an issue now that I have to deal with,” and understand that if Aunt Millie’s money shows up, there are options. We can change the situation that you’re in. Your solution can be modified but right now you’ve got to deal with it the best that you can personally. Don’t put it off. Doug Hoyes: If they don’t, it’s still a perfectly good option. Doug Hoyes: Excellent, well that’s a great way to end it. Ted, thanks for being on the show today. That is our show for today. As always you can find a full transcript and links to everything we talked about today in the show notes at Hoyes.com. That’s H-o-y-e-s.com. Please subscribe wherever you get your podcasts and be sure to check out our Debt Free in 30 channel on YouTube.